Hi everyone! 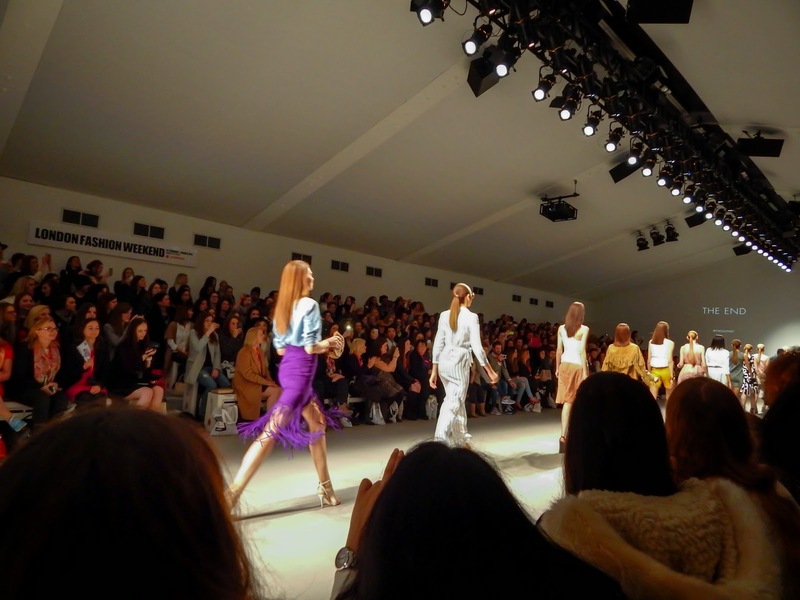 On February 28th, I had the amazing opportunity to attend London Fashion Weekend sponsored by Vodafone, which was held at the Somerset House. It was the most anticipated weekend of 2015 because it has always been my dream to experience Fashion Week. What more, I got to spend the day with my very fabulous friends of whom you'll get to see later in this post! Hyper Florals to celebrate the spring blooms, Shimmer & Shine calling the razzle dazzle and metallic for the new season, Make It Monochrome for the colour combination that will never go out of style, and That Seventies Show which is all about suede, crochet and lace. This year's S/S 2015 Designer Catwalk featured a lot of class channelling the 1970's and the era of Studio 54 from Halston Heritage, America's leading luxury brand. It was fantastic to finally be sitting in front of a professional fashion show, in one of the world's Fashion Hot Spots, London itself. I also had a great time because I got to hang out with an amazing bunch. I've been super lucky to have met the Lady Zaza at Yuna's intimate concert in Shoreditch last year. Never would have I imagined to spend a day with her at London Fashion Weekend! If you haven't come across her before, you must log into your Instagram and search @ladyzaza. She has been ON POINT with her style and make-up since the first time I laid my eyes on her! What more, is that Aiza is super down to earth and just beautiful to talk to. This is only our second official meeting and she never failed to amaze me. 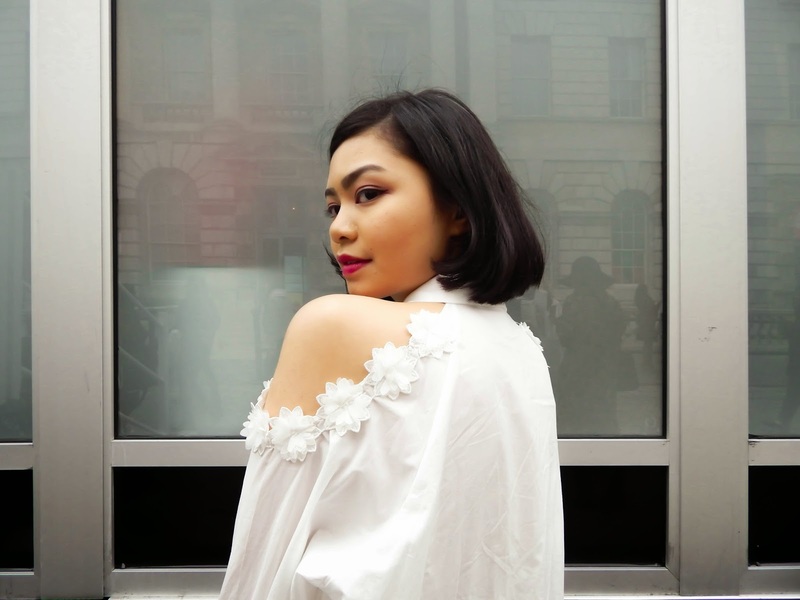 For her LFWend outfit, Aiza went for natural tones and delicate textures. She's also incorporated a bit of the Malaysian culture by wearing a statement "Kebaya"necklace. Here's a photo of Amal K, one half of The Bohemian Brighties. She owns a fantastic fashion & lifestyle blog that she shares with her equally amazing sister, Iqah K. They are like the Olsen Twins of Brunei, super high fashion and super classy. 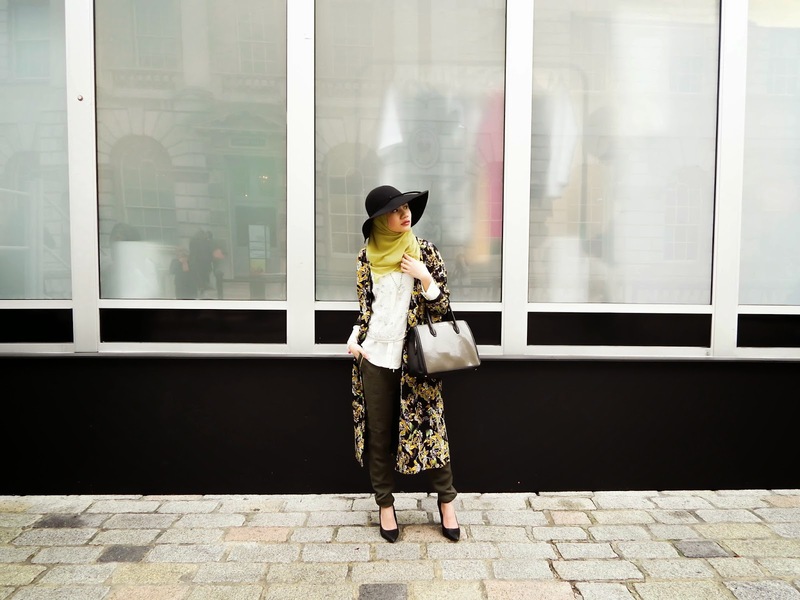 Amal K is looking fabulous also in natural tones, donning a light green hijab under her stylish hat and combining rich patterns with a white embellished top layered on top of an ivory blouse and earthy trousers. 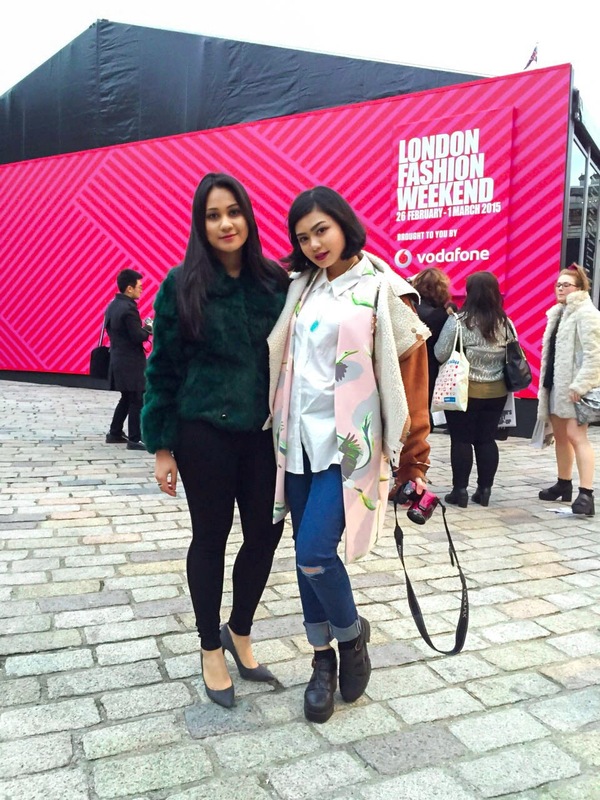 Left: Nadia Rahman, Wearrior A at The London Fashion Weekend 2015. Next to me, we have the gorgeous Nadia Rahman looking classy in a beautiful moss green faux fur jacket (which is a must have in every girl's closet!) and completing her outfit effortlessly with heels. On the right, you can see your very own Wearrior A (hehe). I have been influenced by my korean dramas since last summer. The most recent drama I am following now is Kill Me, Heal Me and the leading character coincidently has short hair like I do (here's a little fun fact: I was originally inspired by Kiko Mizuhara to cut my hair short!). The Korean style has always been about quirky and oversized pieces, so last Saturday I went for different textures and layers. Working from the outside in, I wore this tanned vintage jacket from Thirty8birds (you can check them out for more vintage and thrifted goodies on their ASOS store: thirty8birds) over a printed coat from H&M. Cold-shoulder top with floral details from Style Nanda. Underneath all the layers I wore this collared shirt with cold shoulders lined with floral details. The Korean look is not complete without something white or ivory. I kept my make up simple and as always, I went for a romantic shade on my lips. To get this shade, I mixed a light pink lipstick with Media by MAC. 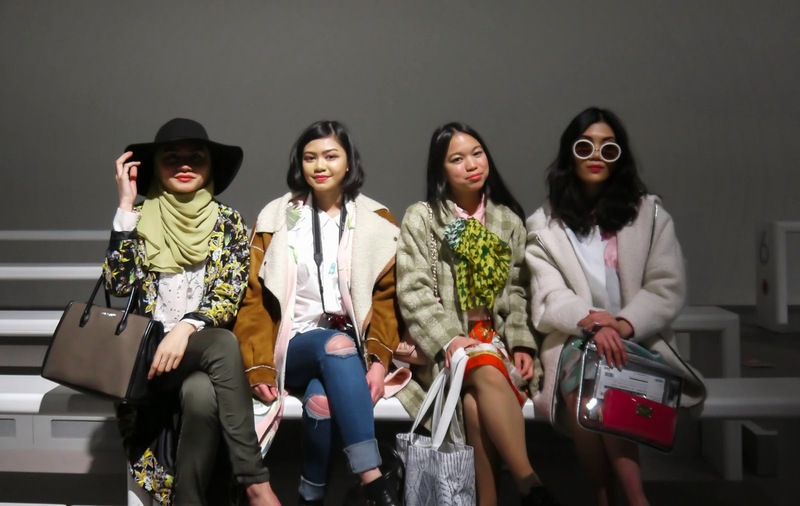 Wearrior A at London Fashion Weekend 2015. I hope you can spot the blue stone necklace from Heartbead! It completed my outfit that day and went amazingly with the blues of my ripped jeans. As for shoes, I went for comfort, knowing it would be a long day, I got my Vagabonds out to strut. Left: Amal K from Bohemian Brighties, Wearrior A, Nina Saiful from http://ninaaneko.blogspot.co.uk and Iqah K from Bohemian Brighties // Photo by TroyVu. Not to forget the girl who made last weekend happen, Nina Saiful. A classy lady and an ultimate fashion enthusiast. Her blog posts describes her style in a great narrative. Every outfit is a beautiful story at http://ninaaneko.blogspot.co.uk. She stumbled across my earlier blog Wander With Ainul and ever since then I had the amazing opportunity to get to know her and hopefully work with her! She wore a mix of new and old, and played with patterns and colours by wearing a thrifted dress and checked coat. I didn't get to take photos with the fashionable Lenny Pham but you must keep updated with his blog at http://lennylinhpham.blogspot.co.uk. He is an amazing human being and the best friend to Nina Saiful. Also with us that day was the lovely Nafeesah Idris. Who has always been on point with her style and not just that but her bright personality never fails to make you smile. I would like to end this post by telling you that if you have that 'thing' you love, you should go for it with great confidence and great passion. Blogging was initially a place for me to escape and express myself. I have gained more opportunities and experience over the years which has helped me evolve. I have also met amazing people that I can connect with. I hope you keep supporting Wearrior Instinct and on behalf of Wearrior M, we hope to share with you as much as we can about our love of expressing ourselves through fashion. i really love your little vlog and that kiko hairdo suits you so well! Really amazing fashion show! I am so glad to watch all these photographs. You know I am also going to attend the Fashion NYC events pretty soon. I am very excited for these events as this would be the greatest opportunity to watch the professional fashion show! I know right! The pieces were amazing! Thank you and no doubt you'll enjoy it! It's very inspiring, hope you have a lovely time!